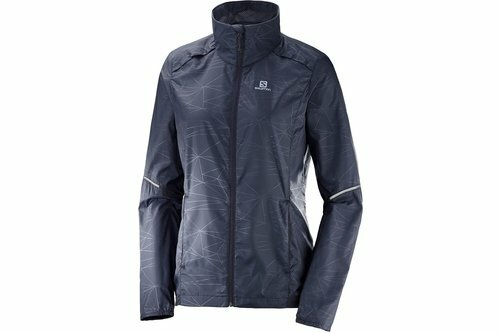 Layer up in lightweight comfort with the Salomon Agile Jacket. Crafted with a full zip fastening, a chin guard, and a water-repellent coating, this piece is perfect for outdoor adventures. Jacket is finished with reflective details to increase visibility.